LunarSail is an Open-Source Cubesat and Solar Sail Lunar Orbiter project. Matthew Travis used Kickstarter to raise funds and comfortably exceeded his target of $11,00 by getting pledges for $15,817. The team say “LunarSail’s computer is based on the Raspberry Pi, which is a complete Linux-based single-board computer running on an ARM processor”. LunarSail aims to be the first “amateur” satellite to reach lunar orbit and hopes to get a free launch via the NASA CubeSat Launch Initiative. The team plan to submit a proposal by November 26. LunarSail is an effort to demonstrate the ability of a spacecraft under solar sail propulsion to navigate itself into a lunar trajectory and insert itself into Lunar orbit. A primary objective of the LunarSail mission is to serve as a testbed for CubeSat operations beyond low Earth orbit and applications requiring cislunar or interplanetary rendezvous. 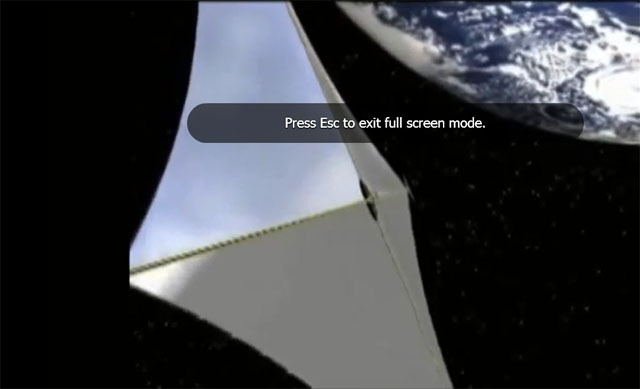 LunarSail plans to take advantage of the CubeSat platform to conduct a first of its kind mission to use a solar sail to send a spacecraft to the Moon and then utilize the sail’s unique characteristics to navigate into lunar orbit.